–Both past and present performance is considered, with greater weight given to the present. –Though championships and sustained competitiveness are the greatest indicators used, fan dedication is also a factor. For instance, though the Cubs never win squat, Chicago is a far greater baseball city than, say, Tampa Bay, which has had some recent success but still can’t get fans in the stadium. –For all intents and purposes, Toronto is being included as an “American” city. 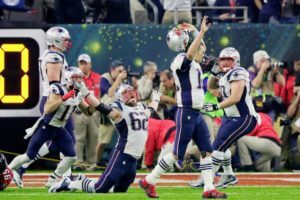 –Boston still gets the Pats even though they’re technically from New England. Dido for the Minneapolis and the Wild and Dallas and the Rangers. And the whole Los Angeles Angels of Anaheim thing–just no. If you say you’re of Anaheim, you’re of Anaheim. –Four teams is better than three, and five is better than four. Still, having less teams isn’t a deal breaker. –Overall championships reflect all championships enjoyed by respective cities, including both current, defunct, and relocated teams. For instance, LA claims eleven of the Lakers’ championships, while Minneapolis, their city of origin, claims five. New York gets the Dodgers’ one World Series in Brooklyn, and five for the Giants of the Polo Grounds. Baltimore compiled four championships before they were robbed of the Colts, while Philly bolsters its overall tally with five World Series from the early 20th century Philadelphia Athletics. Other considerations include the Boston Braves, Cleveland Rams, LA Rams, Chicago Cardinals, Cleveland Bulldogs, Washington Senators, Boston Redskins, Milwaukee Braves, St Louis Hawks, Seattle Supersonics, and Philadelphia Warriors. *Teams in bold designate defending champs, italics for defending conference champs. The top five historically successful teams in each sport are underlined.